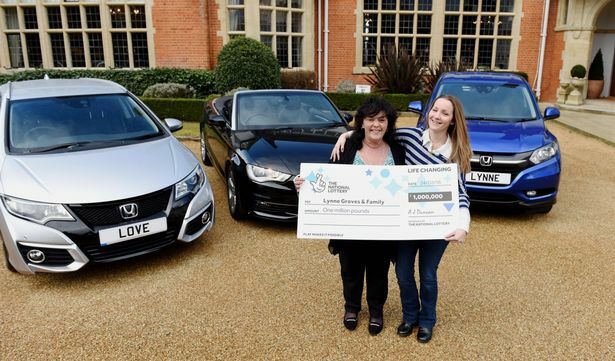 Grandmother, Lynne Groves of Chelmsford in Essex won a whopping £1 million at the age of 57! 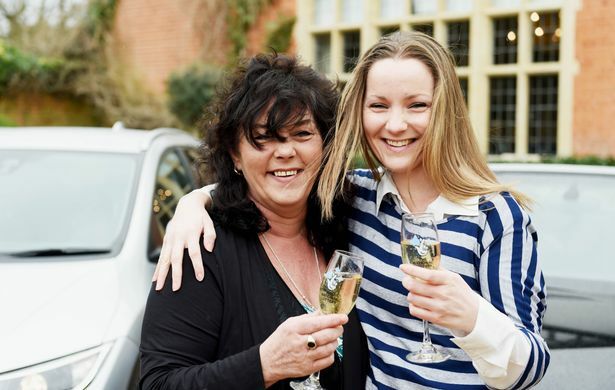 Her lucky lottery ticket story however almost never happened. Lynne Groves, who has been working as a carer for more than 30 years, thought that she would be working until her late sixties or possibly beyond, then thanks to a small dose of luck and a simple mistake, that has all changed. While Lynne was at her local newsagent, Nisa Castle Stores on Sandford Road in Chelmsford, she requested that her usual Lottery tickets be printed. 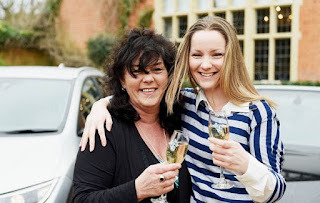 Pierce the shopkeeper accidentally printed off a EuroMillions ticket, realising his mistake he then reprinted a Lotto Lucky Dip ticket for Ms Groves. 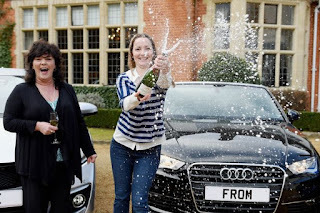 This ticket turned out to be a Lotto Millionaire Raffle ticket, however it definitely seems as if the fates were in her favour, as the reprinted ticket for the Wednesday night Lotto Millionaire Raffle held the winning number combination and has made Lynne a Millionnaire. Lynne said "I saw that the main numbers didn’t match but then I worked my way down to the Lotto Raffle, I couldn’t believe my eyes, it matched! 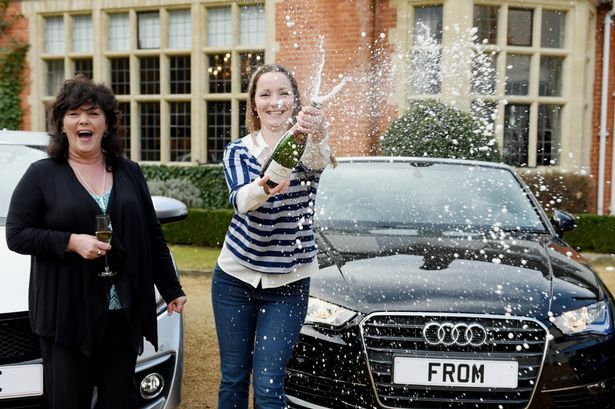 How will this generous grandma spend her winnings? Her standing comment to the shopkeeper upon purchasing her regular lottery tickets was that when she hits the jackpot she would send him off to Australia, as this has now become a reality, she goes on to say that, “Pierce is speechless, for once!" Further to keeping her word to Pierce she plans to treat her family with her winnings by buying them a trip to Disneyland and planning a family holiday to Italy. Lynne said: "We think my dad had Italian heritage and I was always drawn to visit Italy but thought it would be a pipe dream, I can’t help thinking my dad – who we sadly lost about nine years ago– has had a hand in this win and has helped to make my Italian dream a reality." For herself, her plans are more modest, Lynne wants to buy the home that her and her partner Mick are renting and renovate it before settling into a quiet retirement. What is the Powerball Lottery Jackpot for 2016-03-26? | $90 Million | It is a Rollover! How many times have you bought a lottery ticket and misplaced it? 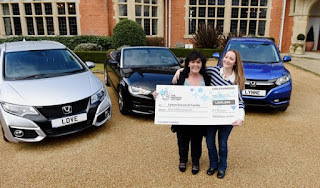 Although a misplaced ticket does not always mean that you would have been a jackpot winner. This scenario is completely different: Jerry Ritieni, a 47-year-old auto shop owner from Massapequa, who ended up winning the New York Lottery jackpot in 2014. His story is funny one that goes like this; while searching for a set of spare keys, he found a lotto ticket that he had not yet “cashed in” in the centre console of his truck. He had completely forgotten about the ticket that he had bought and the thought that it could be a winning ticket did not even cross his mind, let alone that this ticket would make him $2.9 million richer. A week later, he checked the official lottery website and discovered his Quick Pick numbers matched the exact numbers of the draw and that he had won the New York Lottery Jackpot! It was really hard for him to believe that he’d won. After playing quick pick tickets for the same lottery at the same gas station every week for nearly 10 years, what were the chances? Jerry has no intention to change his career or his situation any way and a good chunk of the money will be put into a trust to secure his kids’ college education. As for the rest, he plans to invest it for his retirement. Don’t think that it might not happen to you, because if you continue to play the lottery you might just be “that one” in a million! The results are based on the official draw. What is the Mega Millions Lottery Jackpot for 2016-03-11? | $157 Million | It is a Rollover! The jackpot for Mega Millions Lottery has rolled over and you can now play for a massive: $157 Million! 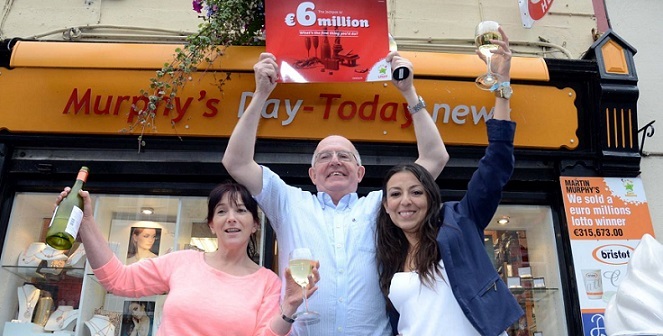 Winning the lottery is one thing, but Gerard Murphy “kept it in the family” as his winning jackpot numbers were bought from his brother-in-law’s store. In 2015, Gerard Murphy’s extremely lucky numbers (3-7-11-33-37-42) managed to win him the Irish Lotto Jackpot of €6,384,673. Gerard’s winning numbers were based on the same numbers he had been playing for 20 years, these lucky numbers had been derived from the birthdays of his four children. Gerard has been very calm about his win, ever since he found out and even though he is now a multi-millionaire, he plans to continue working at his current job. The Irish Lotto winner, Gerard Murphy, had been playing his lucky numbers for a long time until this massive win came his way. So don’t get disheartened if your numbers come back unlucky for quite some time. Just keep the good energy up, all big wins take time, if you think positively you will attract positive things to come your way. You too can play the Irish Lottery with Lottery Network, it is an insured game with the maximum payout of €10,000. Tickets cost from as little as €1.00 and the results are based on the real draws.